I love rooting for the underdog, it is one great story, and if the former IBF Featherweight/Super Featherweight champion Robert Guerrero 29-1-1 (18) ever gets his shot at the former P4P King Floyd Mayweather Jr. 42-0 (26), I believe it could very well be the making of an underdog overcoming the odds kind of story. We cannot take anything away from Mayweather Jr., he is a talent second to none, but I feel the grit, the hunger and aggression of “The Ghost” could possibly be the winning ingredients to upset the undefeated one. And in this exclusive interview conducted by Doghouse Boxing, we get the thoughts of Guerrero, his opinions on Mayweather, his future and more, enjoy. Benny Henderson Jr.: Happy New Years Robert. Can you let our readers here at Doghouse Boxing know what you’ve been up to? 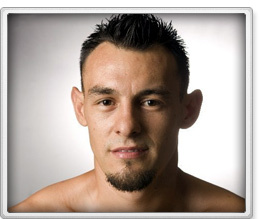 Robert Guerrero: Right now I’m excited about getting back in the gym. I just started doing bag work and I’m feeling fantastic knowing that my shoulder is now fixed. I’m excited about returning to the ring. BH: I’ve been hearing your name in the same sentence with Floyd Mayweather as a possible opponent. Is this true, do you want to fight Floyd Mayweather? RG: Yes, I’ve been seeking a fight with Floyd since his date on May 5th was announced. I’m here to fight the best fighters in the world. BH: Floyd is scheduled to turn himself in to the authorities in Las Vegas this Friday. Will his sentence interfere with your plan to face him on May 5th? RG: Only God knows what’s going to happen. I’m assuming if he gets out early, he’ll still have time to fight on Cinco de Mayo. If not, then I’ll look for the best possible opponent that’s out there. But if I do fight Floyd, I’ll be 100% ready to go. I believe in my God given ability and I know I have the style to beat him. I will shock the world! BH: How do you see a fight with Floyd playing out? RG: He’s an incredible counter puncher with the best defense in boxing. To fight Mayweather you have to be smarter than him in the ring. I’ve been studying him a lot and I see that he’s lost a step or two. He’s getting up there in age and his speed is slowing down. I plan on capitalizing on all his weaknesses. BH: I feel your one of the most underrated fighters in boxing. Do you feel the same? RG: Yeah, I mean I’ve done everything I’ve dreamed of as a kid growing up in boxing, expect punch my ticket into the Hall of Fame. I’ve won world titles in multiple divisions. I’ve fought overseas and won a title. I’ve fought on national TV numerous times. All I need is that big mega-fight with a Mayweather or Pacquiao type guy. I was Juan Manuel Marquez’s mandatory for years and he never took my challenge. The politics of boxing can be very difficult to deal with at times and I feel that my accomplishments are going unnoticed. When I beat Katsidis it seemed like that fight went under the radar because Morales did so well against Maidana. I dominated that fight and everyone appeared to forget about that performance. When I took the Maidana fight instead of Morales for less money, I did it for the fans. I know I have the skills to beat anyone, I just need the opportunity. BH: What are your goals for 2012? RG: I want to be in a mega fight with one of the top pound for pound fighters. Mayweather, Pacquiao, Marquez, Bradley, anyone of those guys. Once I get in the ring with any of these guys, the world will know why I’m one of the best fighters in the world. All I can do is keep working hard and challenge the best fighters. If they choose not to fight me, then it’s clear they don’t want to lose and boxing looses out on great fights. BH: If you could change boxing what would you do? RG: The best would be fighting the best no matter what. Having a few losses on your record shouldn’t be the end of a career. Too many fighters are ducking one another. I know it’s a business but the sport needs to go back to the old days when fighters let their nuts hang. The networks need to showcase the new blood as well. I’m ready to take the mantle and become boxing’s next star. BH: Any last words for the fans? RG: Boxing is the ultimate gentleman’s sport and the fans will forever see the sweet science for as long as we live. I just want to be remembered as one of those throwback fighters that brought the fans to their feet. As fighters we put our lives on the line each and every time we step into the ring and I hope the fans can appreciated our dedication to the sport. Like the legendary cut man and trainer Chuck Bodak used to say, the fans are the ones who make us. I will always remember that because the fans are the most important, because they pay to see us fight. 2012 I’m coming hard!